Content marketing continued to evolve in 2015 and has become a “must-have” component in how brands execute their marketing strategy, especially in digital. Most brands have just dipped their toes into the shallow end of the content marketing pool, and many are now ready to expand their efforts in a significant way. 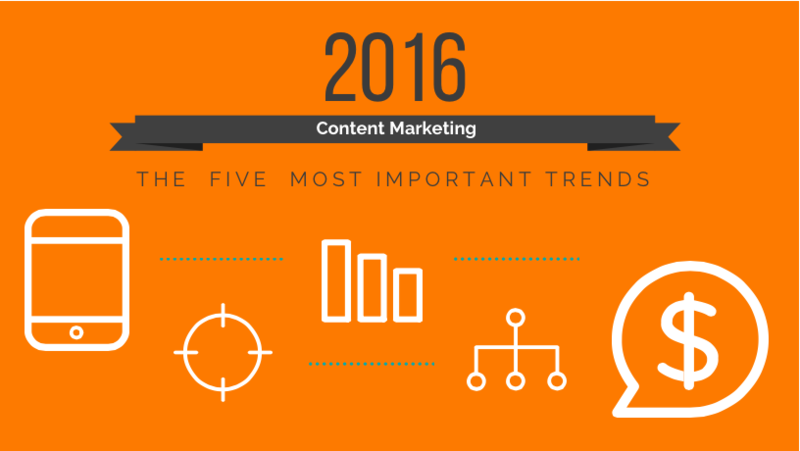 So what are the most important learnings from 2015 and upcoming trends going into 2016? Content marketing, known for its pull marketing model over push advertising, isn’t quick and easy to succeed with at scale. Getting started is hard and scaling velocity isn’t any easier. Currently, most traditional creative or media agencies are great at strategizing for push advertising purposes. With their big ideas, large campaigns and product promotions, they don’t really know how to develop a comprehensive content marketing strategy. Or more importantly, how to measure content marketing differently than direct response landing pages or even optimizing content efforts using conscious and unconscious consumer data. A true content marketing strategy is focused on adding value to the target consumer by delivering stories that make an impact on an emotional level and inspire and nurture them, as opposed to a typical advertising strategy which is all about persuasion and interruption. A good content strategy can live for years, it’s not just a great campaign. That’s why people like Kohlben Vodden who led the social media and content marketing initiatives at WPP’s Ogilvy One in the UK, and Galit Ben Simhon, head of marketing for some of the largest brands in Israel, left their comfortable positions and founded a new kind of agency. Kohlben has since founded StoryScience in the UK and Galit, TeamTLV in Tel Aviv. And just like with search agencies around 2001 and social agencies of 2006, this new breed of the agency will rule the industry in the next few years. During 2015 we saw a great spike in the number of publishers providing “custom publishing” studios for brands, which makes total sense since publishers are obviously experts in creating content. Buzzfeed, Huffington Post, New York Times, The Atlantic, and Quartz are great examples of publishers that started to work closely with brands to create native/sponsored/paid content. The New York Times Paid Posts section showcases great examples of how to get it right. I believe that as brands build their confidence in content marketing, they’ll start adopting more of an “own rather than rent” mentality. Ownership means hosting high-quality, interesting, educating, entertaining and inspiring content on a brand’s owned online properties. As marketers become more sophisticated about leveraging a multitude of platforms to drive content amplification (like Facebook, Twitter, Linkedin, Outbrain, YouTube) they need to find a way to compare performance between and across these channels. In many cases, the initial focus of content marketing optimization efforts has been in traffic acquisition and engagement with content. Only after an engagement is understood can one move on to the next step, which is optimizing that engagement towards actions/conversions. Some brands don’t necessarily have clear conversion goals to optimize for in the first place. How can they make effective assessments of the performance on these discovery channels/platforms? On one platform you might buy traffic by presenting audiences with a banner which you pay for on a cost per thousand impressions (CPM) basis. On another platform, you paid per click with your content (CPC). One channel may drive a higher percentage of unique users but at a high bounce rate, and the other, low bounce rates with low page views per session. There needs to be one KPI to optimize for and compare traffic sources against. Introducing the CPE. X, Y, Z, and T are the weights you give to each one of the performance indicators (below), that you can use in the formula. Cost of visit: How much did it cost to get a visit on the site? For example: $10,000 at $10 CPM, got you 1,000,000 impressions. If your CTR was 0.2%, you got 2000 clicks on the content which means: $10,000/$2000 = $5. For example: $10,000 at $0.5 CPC, got you 20,000 clicks. The visit cost is the CPC you paid to get that visit. Your cost per visit is $0.5. Defining a CPE and then benchmarking all traffic sources, as well as defining optimization goals will be an important factor in how brands improve their efforts and ultimately are able to show the ROI of their content marketing efforts. One size doesn’t fit all in content marketing and as brand managers and CCO’s (Chief Content Officers) get better at it, they’ve come to understand the need for different tones across platforms. Content cloning doesn’t necessarily strike a chord on each of the powerhouse platforms like Twitter, Facebook or Pinterest. Moreover, the kind of content you create for your blog is vastly different than the kind of content that translates on Instagram or Snapchat. When looking at the content landscape, marketers need to carefully select the platforms they want to participate on and define a strategy for each. The world of how we discover and engage with content is going to change drastically in the not so distance future. A world in which we read most (or all) of our news on our mobile devices, some of it projected as a hologram of a magazine. Real-time (Persicope and Snapchat) and short form (Vine) will become a larger part of our daily content consumption. Virtual reality headsets will enable us to experience content as if it’s around us, not just as text or video in front of us. As consumption trends shift, brands will need to adopt their content strategy to include more immersive experiences. Some really great examples of this come in the form of virtual and augmented reality. Take a moment and check out this video of US Navy Blue Angels flight — play with your mouse to move the view to up, down and side to side. Now picture all smartphones or GoPro cameras have the ability to take pictures and videos in 360˚. Brands should consider how their content strategy adapts to such environments! The Oculus rift will become a consumer mass product in 2016, potentially turning VR from a geek’s nice-to-have to a must-have gadget for all. I mean, Samsung’s Gear VR in collaboration with Oculus is already available for just $99! One brand that is always ahead of any new content innovation trend is GE. Take a look at GE’s SubSea Virtual Reality Tour to get a glimpse into the future of content marketing. Now that is cool, right? — And what better way is there to keep users engaged with your content than through interaction. Partner up: You can’t do everything yourself but you need to partner smartly with someone that’s an expert in pull marketing (and not in push advertising). Own your content: Build your own content destination and make it useful/inspiring for your audience. Improve engagement measurement: Create a common metric across all your acquisition and engagement efforts. Content tailoring: Use the right kind of content for each discovery or amplification channel you want to use, considering if and why you might expand to new channels. Plan for the future: Because it’s already here, so envision the content today that you’ll need to produce for the consumption of the future. Good advice sometimes you just have sit back and listen to get a head in life. Thanks for the feedback, Sophia. I’m very happy to hear you found the post useful. Totally agree on the importance of originality, not only to rank higher on Google but also to really add value to your audience. This is a great article. I just took an online course in Digital Marketing and some of the things you touched on were not covered at all. I am glad that I am a writer because I’ll be able to generate some great content. I am just in the process of updating my website and these are great tips! What is the most basic plan to put a well organized content management system together for a Martial Arts Studio? I find this article thorough, insightful. I have engaged in push media for event marketing strategies and have felt the emergence in pull marketing; however, this is the first time experience of a new matrix of measurement: CPE. Bravo! Thanks a lot for your feedback, Melanie! Really appreciate it.